The Wildcat Fund is committed to providing the necessary resources to allow Northwestern's more than 500 student-athletes to pursue excellence in the classroom, in competition and in the community. If there is anything we can do to help you, please feel free to reach out to our office. 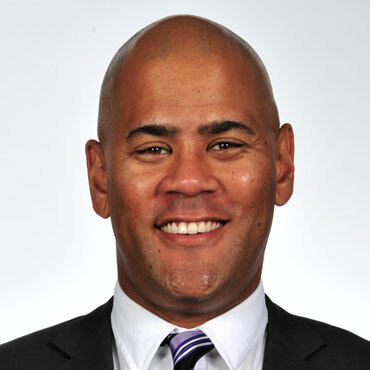 Travis Goff has served as Northwestern University's Deputy Athletic Director for Development since 2012, adding the title of Assistant Vice President in 2016. Goff is as a member of Vice President/Athletic Director Jim Phillips' executive staff, the team responsible for all high-level strategic decisions for the department, and is a sport administrator for the football, volleyball and baseball programs. Goff leads Athletics & Recreation's fundraising initiatives, including a campaign goal of $450 million, comprehensive major gift and annual giving programs and a team of 11 dedicated development professionals. Since Goff's arrival in 2012, more than $400 million has been raised in support of NU Athletics and annual fundraising outcomes have increased from an average of $6-8 million per year to an average of $70 million per year, including a University record $97 million 2012-13. Totals for 2015-16 surpassed $75 million and the most recent completed fiscal year resulted in $80 million in gifts and commitments. Goff also serves on the leadership team for Alumni Relations and Development as an Assistant Vice President. These dual roles require consistent engagement with the President and his Senior Staff, along with department leaders from across other schools and units. Highlighting Athletics and Recreation's $450 million campaign goal are the lakefront athletics facilities, including Ryan Fieldhouse, Wilson Field and the Walter Athletics Center, which will provide NU student-athletes with world-class training, support, and competition facilities. Located on the north end of Northwestern's Evanston campus and with spectacular views of Lake Michigan, the new complex will include nearly 500,000 square feet of new or renovated athletics and recreation space that will serve not only intercollegiate sports and recreational activities, but also provide space for major University-wide events. Goff has also led the fundraising effort for the $110 million renovation of Welsh-Ryan Arena and McGaw Memorial Hall. This complete overhaul provides a state-of-the-art experience to Northwestern Athletics' most used and versatile venue. In conjunction with the arena renovation, the Trienens Performance Center will create a dedicated practice facility for basketball and volleyball programs. Prior to joining Northwestern, Goff served as the Associate Athletic Director/Senior Director of Athletics Development and Associate AD for External Affairs at Tulane University. His tenure culminated with leading the $70 million athletics fundraising campaign entitled "Home Field Advantage" with a focus on raising funds to develop an on-campus football stadium. In Goff's last year in New Orleans, Tulane Athletics raised nearly $30 million via 3,500 donors, both record-shattering results. His tenure at Tulane also featured oversight of External Affairs for the department, including marketing, ticket sales and operations, sponsorships and communications. Goff served on the executive staff team for Tulane Athletics from 2006 until his departure. Prior to joining the Green Wave staff, Goff worked in athletics development for his alma mater, the University of Kansas. A 2002 graduate with degrees in journalism and sociology, he completed his Master of Business Administration from Tulane University in 2007. A native of Dodge City, Kan., Goff is married to the former Nancy Kockott, a 2005 Tulane alumna (MBA 2008) and former tennis standout for the Green Wave, and together they have two daughters, Ellie and Carly. Fred Smith joined Northwestern as its Associate Athletic Director, Major Gifts in March of 2013. Smith arrived in Evanston after more than nine years in multiple capacities at Santa Clara University. Most recently, Smith served as the Associate Athletic Director, Development and was responsible for all major gift and corporate partnership activities, premium seating and suites, as well as management and oversight of sport specific fundraising efforts for 7 varsity and 18 club sports. In addition, Smith was the administrator for men's and women's golf. In the community, Smith served on the Board of Directors for the San Jose Sports Hall of Fame. At Santa Clara, Smith served the greater part of the 2006-07 academic year as an Assistant Athletic Director overseeing 13 intercollegiate sports and sports medicine department. He headed the department's special projects, designed to make the entire athletics program more competitive while maintaining a role in fundraising efforts. When he first arrived at Santa Clara, Smith was responsible for annual gift fundraising and coordination of fundraising events. He managed the Bronco Bench Foundation, which is the student-athlete scholarship fundraising group for Santa Clara Athletics, conducted the BBF's annual $1.5 million fund drive, and was a primary liaison to the BBF Board of Trustees. Prior to joining the Broncos staff, Smith worked in advancement at Cal Poly, San Luis Obispo as Assistant Athletic Director. Smith began his career at UNLV in athletic academic advising, transitioning into an administrative and fundraising role working with UNLV's Olympic Sports and the UNLV Women's Sports Foundation, respectively. A native of San Diego, Calif., Smith graduated from the University of Michigan in 1998 with a degree in economics. Fred and his wife Shauna, a former volleyball student-athlete at Arkansas State, have two sons John and Jalen. Daniel Solow joined Northwestern University in February of 2013. Solow serves as a member of the athletics senior staff, a sport administrator for the men's and women's golf programs and a major gift fundraiser. Since joining the ‘Cats at the midpoint of the 2012-13 fundraising year, Solow has increased annual giving by more than 110% and helped all 19 sport programs establish new single-year fundraising records. In an effort to build a healthier annual giving program, Solow led a rebranding of the Wildcat Fund that spanned six months of peer reviews, donor feedback and incorporation of all 19 sport programs and the Vice President's Fund into a new annual giving structure. As a part of this effort, he helped develop the Otto Graham Society, which has generated nearly $15 million in new support for Northwestern student-athletes and recognizes one of the all-time great Wildcats. Prior to coming to Evanston, Solow spent five years as the Assistant Director of Athletics for Development at Hofstra University, where he had oversight of the athletics fundraising efforts. During 2011-12, Solow was named "Fundraiser of the Month" three times, more than any other University fundraiser. Solow earned his master's in sports management from Northern Illinois University in 2007. During his tenure in DeKalb, he was a Development Assistant in the department of athletics and also worked as a Graduate Assistant in the Sports Information Office. Following his time at NIU, Solow was the Sport Program Associate for Development at the University of Cincinnati. A Chicago native, Solow graduated from Occidental College in Los Angeles, Calif., in 2005 with a degree in politics. He was a two-time captain and four-year starter on the golf team and served on the Student-Athlete Advisory Committee. Solow and his wife, Abby, currently reside in Chicago. 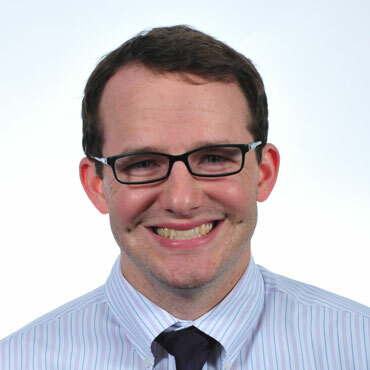 Christian Williams has served as Manager, Donor Relations and Development Operations since October 2018. Her day-to-day responsibilities include principal gift and major gift level campaign support, managing branding and communication for the athletics development team, leading the department's stewardship efforts, providing strategic event support, and serving as fundraising liaison for the women's basketball and lacrosse programs. In her previous role with the Wildcat Fund, Christian was critical in the development of the new Wildcat Fund structure. She also coordinated the department's efforts to design and launch SupportTheCats.com, the campaign information website for Northwestern Athletics. Christian came to Athletics after two years in the Northwestern Office of Administration and Planning, where she supported Vice President Marilyn McCoy and the Board of Trustees. She has a Master of Arts in Sports Administration from Northwestern University and a Bachelor of Arts in Mathematics from Wake Forest University, where she was a four-year scholarship athlete and two-year captain on the tennis team. 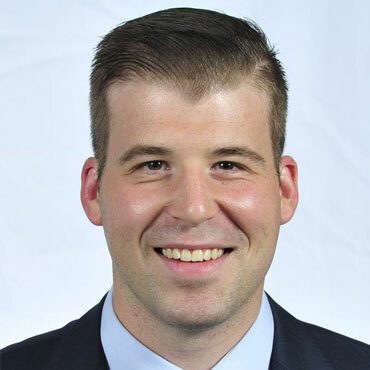 Erik Ciotti joined the Athletics Development team as Associate Director of the Wildcat Fund in September of 2013. In his role, Ciotti is responsible for generating resources for the Wildcat Fund, an unrestricted annual fund that supports the nearly 500 student-athletes in 19 varsity sports at Northwestern. He also serves as a development liaison for several programs including fencing, women's soccer, field hockey, and men's and women's swimming. Most recently, Ciotti served as an event marketing consultant for The Kineo Group, a Chicago-based communications, branding and marketing firm. His primary focus was working with the inaugural Encompass Championship, a Champions Tour golf tournament held at North Shore Country Club in Glenview, Ill. In his role, Ciotti provided category expertise with several areas of the event including a comprehensive print, digital and advertising campaign, media buys, and the design of various collateral material including programs, pairings guides, tickets and VIP badges. He also assisted the tournament with pro-am and sponsorship sales and service. A lifelong Chicagoan, Ciotti also served as the Assistant Men's Golf Coach at Northwestern from 2002-2005. Ciotti received a bachelor's degree in speech communication from Northwestern in 2000 and earned a master's degree in Sports Administration from NU in 2010. As an undergraduate, Ciotti was a four-year letterwinner for the men's golf team and played professionally on the PGA Tour and Nationwide Tour. Ciotti competed in three NCAA Championships for the Wildcats, placing in the top-20 of the nation twice and helping NU record three top-20 team national finishes including seventh in 1997 and third in 1999. Ciotti and his wife, Jodi, a former collegiate golfer at Illinois Wesleyan University, reside in the western suburbs with their sons, Evan and Andrew. Matt joined the athletics development team as a program assistant in January of 2013 before being elevated to assistant director in June of 2015. He took on his current position of Associate Director of Development, Leadership Giving in July of 2016. Currently at NU, Smith plays a frontline role in securing resources to allow Northwestern to continue providing a world-class experience for our student-athletes while serving mid-level donors and identifying new major gift prospects. In his previous positions, Smith focused on leading the prospect and portfolio management efforts for the team, identifying new prospects, assisting the executive director with major and principal gift level solicitation planning, campaign reporting, and managing the budget. In addition, Matt has often served as the first point of contact for athletics donors, including assisting with premium ticket requests and general stewardship. Matt has also served in a leadership role for the team on football game days, ensuring our donors are appropriately cultivated and stewarded. 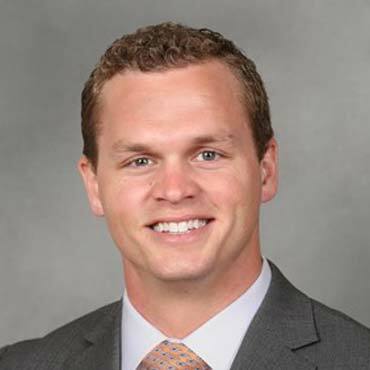 Prior to joining the Northwestern athletics development team, Matt spent two years in NU's Department of Alumni Relations and Development serving in various roles. A native of Elmwood Park, IL, Matt holds a BA from Northern Illinois University. Kacie (Wikierak) Dohrmann has served in the role of Director of the Wildcat Fund since October 2018. 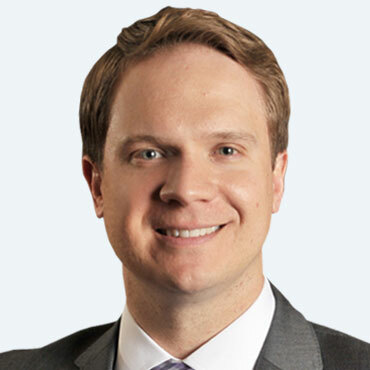 Dohrmann most recently served as the Assistant Director of the Wildcat Fund and joined Northwestern's staff as Program Assistant for the Wildcat Fund in June of 2014. Dohrmann joined the Wildcats after spending a year with the National Association of Collegiate Directors of Athletics (NACDA). Prior to NACDA, Dohrmann completed her MBA with a concentration in sports management at DePaul University while serving as a graduate assistant in both athletics academic advising and compliance. A native of Crystal Lake, Illinois, Dohrmann graduated from the University of Denver (DU) in 2011. While at Denver, she was captain of the volleyball team, 2007 Sun Belt Conference (SBC) Defensive Player of the Year, and named SBC Defensive Player of the Week seven times during her career. Dohrmann also served as the treasurer of the DU Student-Athlete Advisory Committee (SAAC) and a representative for the Sun Belt Conference SAAC. Dohrmann and her husband, George, currently reside in Chicago. 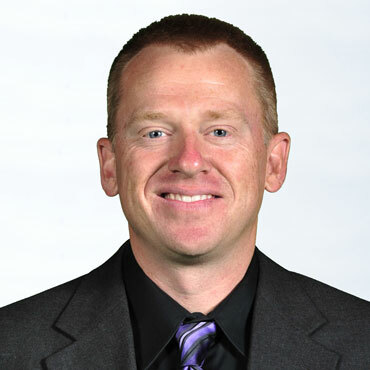 Tim Kelly joined Northwestern Athletics in June 2015 as Associate Director of Major Gifts. He plays a key role in forming major gift strategy and securing contributions to further the progress of the department. His responsibilities include developing and maintaining relationships with alumni in the Chicagoland area and across the country. 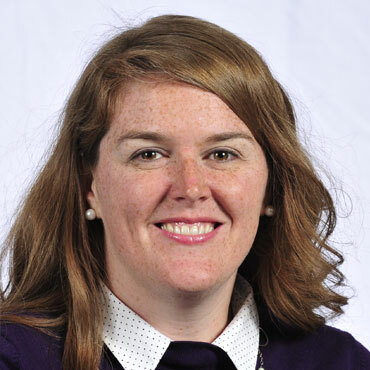 Kelly arrived in Evanston after spending the previous year as the Assistant Athletic Director for Development at the University of Wisconsin-Whitewater. At UW-Whitewater, Kelly implemented several initiatives for Warhawk Athletics that resulted in tremendous revenue growth and led to progress for capital projects and program support. He also served on the department's leadership team and participated in the search and hire of UW-Whitewater's head football coach. Kelly graduated from Loras College in 2012 where he was a two-year captain and All-Iowa Intercollegiate Athletic Conference selection as a member of the Duhawks men's basketball team. He earned a master's degree in sport administration from the University of North Carolina-Chapel Hill in 2014. Alicia Torimoto McLeod joined Northwestern in August 2016 as the program assistant for the Wildcat Fund. 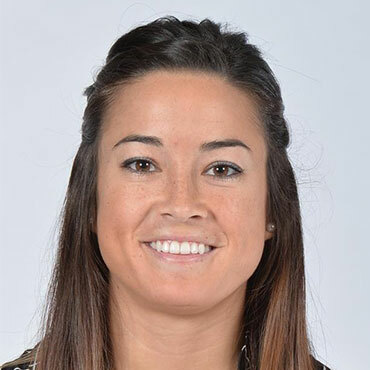 Before arriving in Evanston, Torimoto McLeod served as the administrative assistant for North Central College Athletics and Health/Physical Education Departments. She provided administrative support for all 25 varsity sports which included: transportation needs, game day management for officials, business office paperwork, and eligibility. Prior to returning to her alma mater, Torimoto McLeod completed her Masters of Education in Intercollegiate Athletic Leadership at the University of Washington. During her time at Washington, she was an advancement graduate assistant with the Tyee Club working on special events, football ticket renewals, and annual giving assignments. In 2013, Torimoto McLeod graduated from North Central College with two bachelor degrees in marketing and sports management. While an undergraduate at NCC, she was an administrative intern for the Athletics Department, operations intern for the men's soccer team, served in numerous athletic leadership groups, and was a student-athlete in both volleyball and track & field. 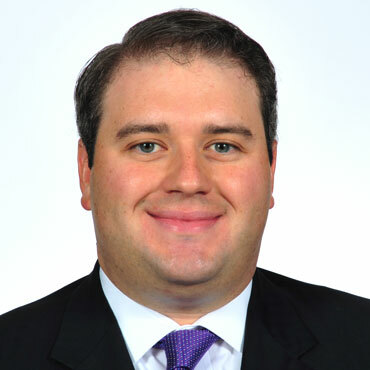 Collin Sexton joined Northwestern Athletics in February 2019 as Assistant Director of Athletics Development. Sexton most recently held the position of Bowling Green State University’s Director of Football Operations/Chief of Staff starting in June of 2017. Sexton managed the day-to-day operations of the football program, coordinated all travel plans, and oversaw staff, department budget, academics, compliance, alumni relations and other areas. Sexton moved to the BGSU Football program after serving for almost a year in Falcon Sports Properties, a division of Learfield. He was the manager of business development, working with clients and agencies to develop, activate and implement sponsorship opportunities. Prior to his time at Bowling Green, Sexton worked with Learfield’s corporate office in Plano, Texas as a support assistant. An Abilene, Kansas native, Sexton was a two-time Academic All-Big 12 recipient as a four-year member of the Kansas State football team. He was on the Big 12 Commissioner’s Honor Roll four times as well. He graduated from Kansas State in May of 2016 with a degree in journalism and mass communications, minoring in business administration. 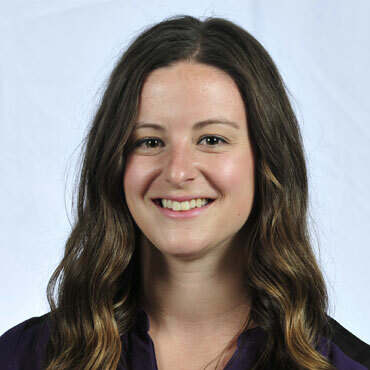 Erin Wagner joined Northwestern in February 2019 as the program assistant for the Wildcat Fund. 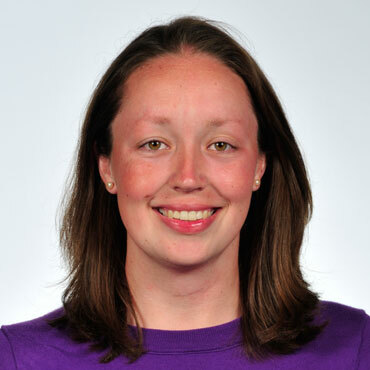 Prior to arriving in Evanston, Erin was a graduate assistant in the Tyee Club at the University of Washington. She assisted the annual fund team in the Tyee Club by processing football season ticket renewals, team support contributions, and provided stewardship and special event support. She also helped coordinate projects and special events related to the Big W Club, the letterwinner society for Washington Athletics. Erin is in the process of completing her master's degree through the University of Washington's Intercollegiate Athletic Leadership program. She is set to graduate in June 2019. 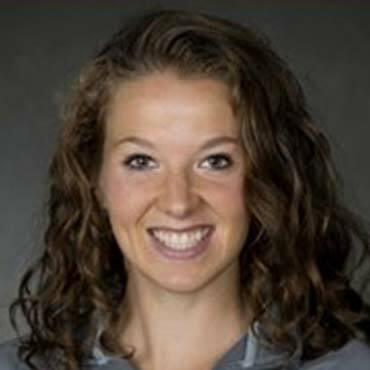 Erin competed for the University of Wisconsin-Madison in cross country and track and field and graduated with a bachelor's degree in kinesiology in May 2018. She also served as the president of two student-organizations, Student-Athletes Equally Supporting Others (SAESO) and Student Affairs Mentoring (SAM), and was the women's cross country representative on the Student-Athlete Advisory Committee (SAAC). Erin grew up in the Chicago suburb of Crystal Lake, IL.